Glossy, coated paper produces sharp text and brilliant colors. Create colorful communications with your printer. Great for business announcements and newsletters. 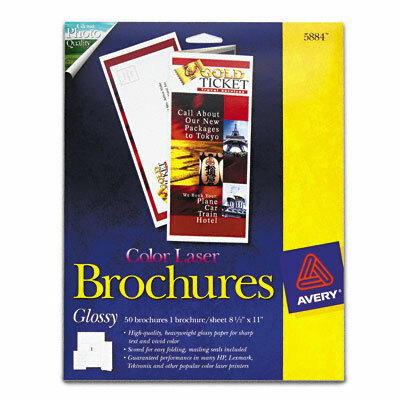 It's easy to Just Click & Create™ with Avery® Templates in over 100 popular software programs. Scored for easy folding. Includes clear mailing seals. Guaranteed printer performance. Glossy, coated paper produces sharp text and brilliant colors.